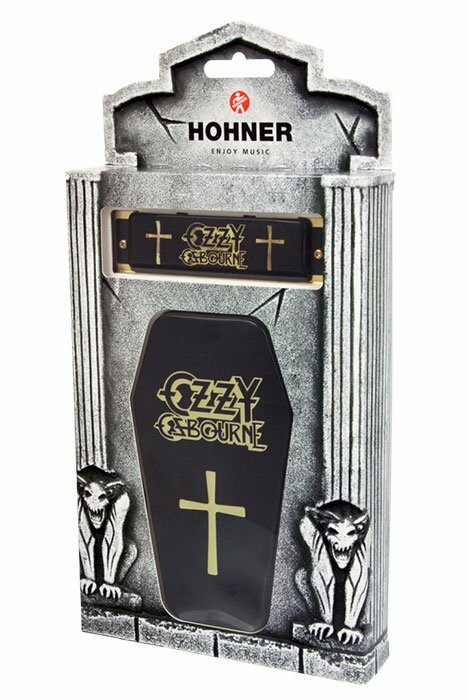 The Harmonica company would like to present the Hohner Ozzy Osbourne Harmonica, from his first career steps in a blues band, through the days with Black Sabbath up to his incredible, on-going solo career, one instrument has always been Ozzy´s companion – a HOHNER harmonica. 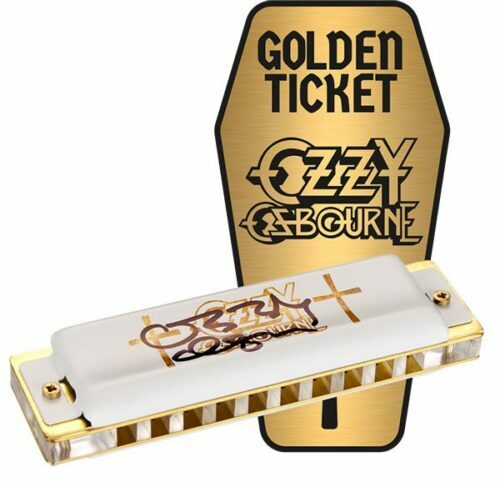 50 Golden Tickets are randomly hidden in the Hohner Ozzy Osbourne Harmonicas. 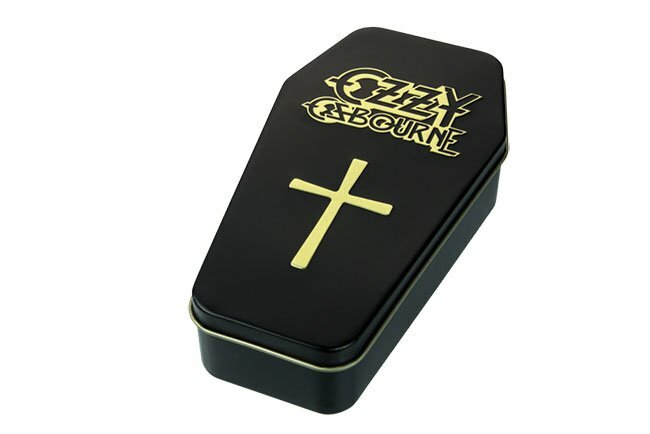 Find a ticket to win one Special Edition harmonica, signed and played by Ozzy. 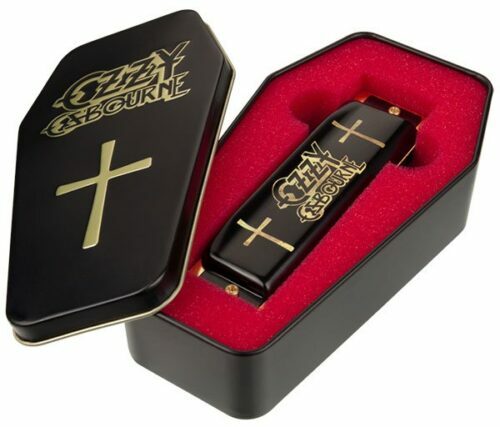 See Goldenticket Ozzy Osbourne Harp in the image gallery. PLEASE NOTE: This product is now in stock in our warehouse and ready to ship. Categories: Harmonicas, Signature, Diatonic Harmonica, Manufacturer, Hohner. 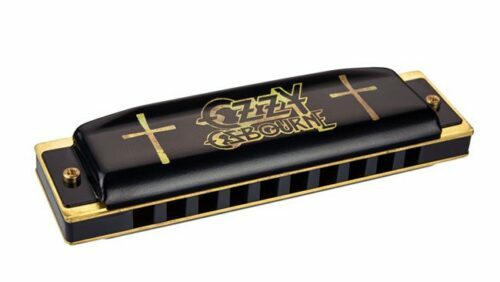 Tags: Black Sabbath, Harmonica, Hohner, Ozzy Osbourne.